What would October be without a good, old-fashioned haunting? Welcome to Greenbrier Plantation where every ghost has a story, but not all of them want it told. 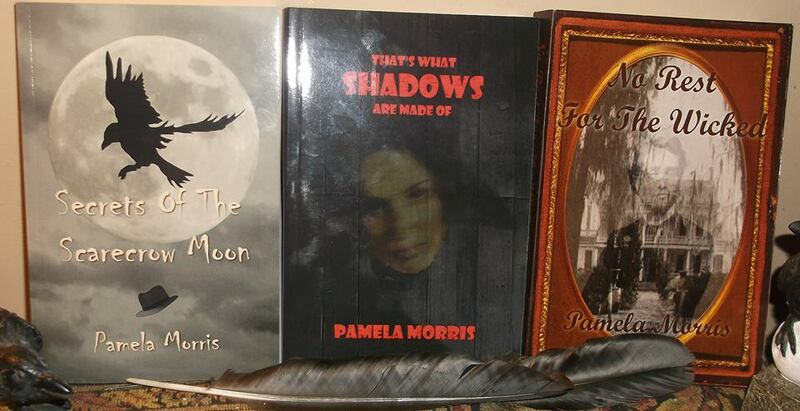 I’ll be at RIVEROW BOOKSHOP in Owego, NY TONIGHT from 6-8pm with my newest horror novel No Rest For The Wicked, along with my other two tales of the paranormal, Secrets of the Scarecrow Moon and That’s What Shadows Are Made Of, for purchase and signing. I hope you’ll stop by and join me for a spell and a cookie. Author Meet & Greet Tomorrow! 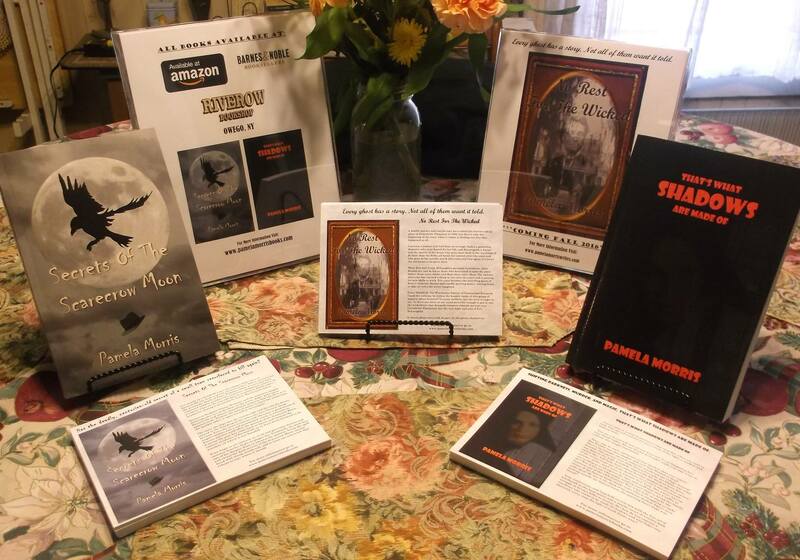 I will be lurking in the lower level of the Berkshire Community Hall with copies of “Secrets Of The Scarecrow Moon” and “That’s What Shadows Are Made Of” along with other local authors sharing their books. Stop in and say hi, get a book you already own signed, buy a book, visit the library and museum that inspired the fictional versions in the books! Eat Blueberries! Main events held at the Berkshire NY Community Hall, Fire Station & Library. (Corner of Rt. 38 & Jewett hill Rd.) 9am-4pm FOOD! Blueberry Pancakes 7-10am at the Berkshire Fire Hall. Berry Cake Sales, Chicken BBQ, Burgers & more! Bake-Off Competition. ENTERTAINMENT! Live Music ALL Day (including: Sister Moon, Valley Harmony w/ Tina Salasny, Ain’t Misbehavin’, and Steve Holcomb Band), raffles, local authors meet & greet, Miss Blueberry visit, Art Show, Vendors, classic car show, Berkshire History Musuem tours, antique appraisals with Bob Connelly, and activities for the kids!